Assortment of "Moonglow" colors, sizes, and shapes. Sorry, specific colors, shapes, etc. 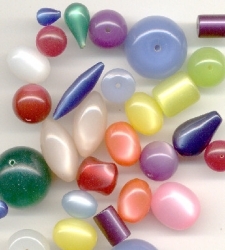 cannot be mixed together; These beads have already been assorted.